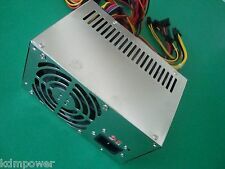 480W (Max 500W) is g uaranteed to replace your Dell Precision Workstation 380 390 T3400. 0° C ~ 50° C on 480W Output Load ;. Output Power 480 Watt. MTBF 100,000 Hours on Maximum Load at 25°C. Item as described, works as expected.A . Noise Level Maximum of 37db at 100% System Loading. Output: 3.3V 16A, 5V 18A, 12V 22A, -12V 0.5A, 5VSB 2A. Efficiency 70% Min. at Full Load. Quiet Operation. Compatible models shown above are for reference purpose only. not all compatible models are listed. 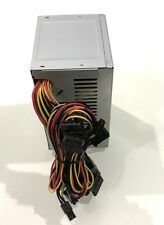 Connector included: ATX Connector 20/24 (20 4 switchable) Pin X 1 PC, P4-12V 4 Pin X 1 PC, SATA 15 Pin X 3PC, IDE/Molex 4 Pin X 3 PC, Floppy 4 Pin X 1 PC, No i/O switch. Dell Part # K8956. 375W / 375 Watt. Dell Precision Workstation 380 390 T3400 01XMMV. Honey-comb rear vent structure for improved ventilation. Flexible connector design supporting both ATX and BTX systems. Output Power Distribution Table. Dell Part # WM283. 375W / 375 Watt. Part Number : T128K. AC Power : 375 Watts. Give us a chance to make things right for you,we will do our best to provide a satisfying solution for you. Condition : new pull or refurbished, tested, working, and sold with warranty. Part Number:T122K. Output Power: 375W. 1X 8-pin hard drive power connector. 2X standard SATA power connectors. Compatible Part Number: T128K. Give us a chance to make things right for you, we will do our best to provide a satisfying solution for you. Dell Part Number:0YN637 / YN637. MPN HP-D5251A001 / 0YN637 / YN637. Output Power 525W. Fully Load Tested. Unit Type Unit. For Administrative Use: 7732. Part Number :T128K. 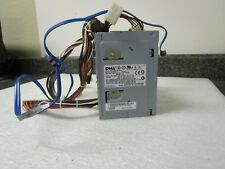 Compatible Model :For Dell Precision 380 390. Max Output Power :375W. Give us a chance to make things right for you,we will do our best to provide a satisfying solution for you. Be sure to add us to yourfavourites list ! We are open from 9:00 am to 5:30 pm (Mon to Sat). 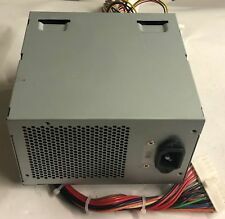 Non-Redundant Power N525E-00 M327J For DeLL Precision 380 390 T3400 525W. Part Number:M327J 0M327J CN-0M327J. 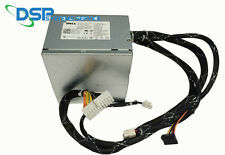 Compatible Model : ForDeLL Precision 380 390 T3400. Max Output Power :525W. Give us a chance to make things right for you,we will do our best to provide a satisfying solution for you. Part Number : YY922 0YY922. Compatible Model : ForDeLL Precision 380 390 T3400. Max Output Power :525W. Give us a chance to make things right for you,we will do our best to provide a satisfying solution for you. Part #: YN637, 0YN637. Precision 380, 390 SMT, T3400, T3500. State / condition: refurbished. 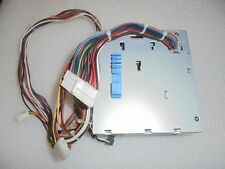 Connectors: ATX (20 4) Pin X 1, P4 12V 4-Pin X 1, SATA 15-Pin X 3, Molex 4-Pin X 3, Floppy 4-Pin X 1. POWER SUPPLIES. ‣ Power Supplies. ‣ LCD Mounts. Frequency: 60 / 50 Hz. From a working Dell Precision 390 Workstation. POWER SUPPLIES. ‣ Power Supplies. MTBF: 100,000 Hours. ‣ LCD Mounts. Input Frequency Range: 50/60 Hz. Part #: YY922, 0YY922, N525E-00. Precision 380, 390 SMT, T3400, T3500. State / condition: refurbished.